Home / Entertainment / Dubstep Becoming A Famous Kind Of Dance? Well, Dubstep is a popular type of music where you increase the bass to 300%. Dubstep is kind of like a “robotic dance” based on body movement. 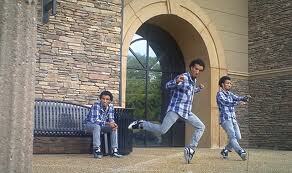 This dubstep dancer to the left his name is Marquese Scott in the streets they call him “NONSTOP”. Marquese is a passionate dancer as you can see in some of his YouTube video’s. He is an amazing dancer and truly cares for the fun of this type of dance and music. In this picture it shows one of his videos on YouTube, when you see this video you might believe that there is camera effects or something but no there is not that is his real body movement. Dubstep’s genre is electronic dance it first started in South London, United Kingdom. The experts in music call this overwhelming bass lines and reverberant drum patterns, clipped samples, and occasional vocals. Which means in our terms it goes hard or in other words don’t turn up the bass what so ever when you listen to this kind of music. Dubstep actually truly started in 1998 it was darker, more experimental, instrumental dub remixes of 2-step garage tracks. By darker I mean drum and bass drops. By 2001, this and other strains of dark garage music began to be showcased and promoted at London’s night club Plastic People. Which from then on the so called 2-step garage tracks became known as dubstep. The term “dubstep” in reference to a genre of music began to be used by around 2002, by which time stylistic trends used in creating these remixes started to become more noticeable and distinct from 2-step and grime. Dubstep started to spread beyond small local scenes in late 2005 and early 2006; many websites devoted to the genre appeared on the internet and aided the growth of the scene, such as dubstepforum, the download site Barefiles and blogs such as gutterbreakz. Now you know what dubstep is and how it originally began. Bromance (Dubstep Dance) from Jay Garderis on Vimeo. 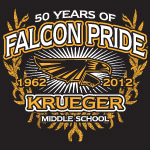 Falcon Camp 2011 – Welcome!